Our experienced and competent staff have many years of experience between them and will work with you and your team to offer solutions. We are proud to have many happy customers who have been delighted with the results that they have received. A video showing NASA's cleanroom. We only use environmentally friendly products and are proud of our track record in caring for the environment. Our team can work with you to develop concept designs and layouts based on your business requirements. Fully conversant with the regulatory requirements of your industry, our designers will ensure full compliance whilst incorporating the specific needs of your project into an innovative solution. 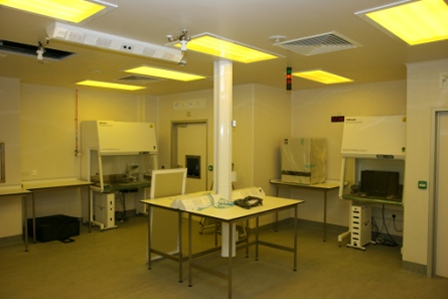 Precision Cleanrooms is a one-stop solution for all your cleanroom and laboratory needs. Our team have successfully provided a complete turnkey service to many blue chip cleanroom clients in their respective science and technology sectors. We design, build, project manage and refurbish Clean Rooms and our service department provide commissioning, maintenance and validation packages. 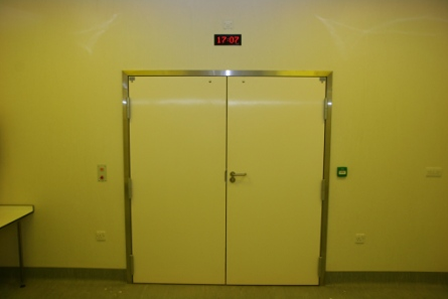 PCR offers a range of construction methods to suit your building requirements in stud partitioning or modular panels. PCR is currently working towards ISO9001 to strengthen our quality management services. PCR is glad to welcome James Killingbeck to the fold as mechanical and electrical site engineer. James has a Master’s Degree in engineering from Loughborough University. 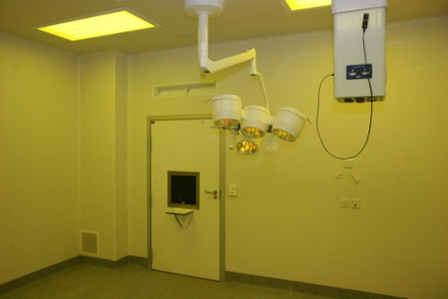 PCR successfully commissioned state of the art IVF clinic. Precision Cleanrooms has been awarded the facility management contract for the next 12 months for HCA International at their Harley Street Clinic site. 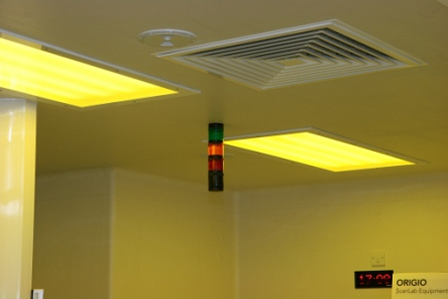 Precision Cleanrooms is currently installing and commissioning a temperature monitoring system at Loughborough University in their Bio Engineering cleanroom and laboratories. The Precision team have offered us a professional and productive service throughout the project and we are extremely pleased to have had such an experienced and competent team on board.